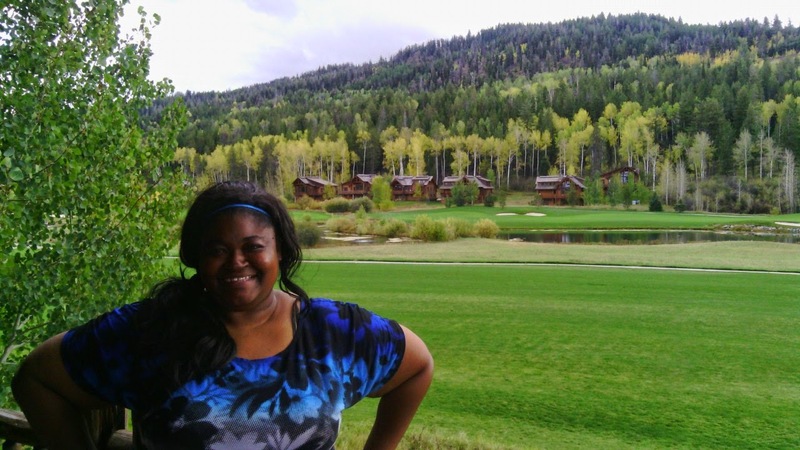 It's been a month since I've returned and I'm just getting it together to tell you about my trip: I was invited by the Idaho Potato Commission to tag along on the 2014 Idaho Harvest Tour with a talented group of bloggers and registered dietitians. When I told friends and colleagues I was headed to Idaho, 90% of them did not try to stifle giggles and honest-to-goodness gaffawing. Idaho is not first on the list of an East Coasters mind when it comes to vacation or for work purposes. "So what are you gonna do out there? Pick potatoes?" "Why, yes. Yes I am." And that's exactly what I did. And more. At first, I thought Idaho to be a very flat land. I learned quickly this was not the case. Our first stop was to the Hoff Brothers Rainbow Ranch Farm. 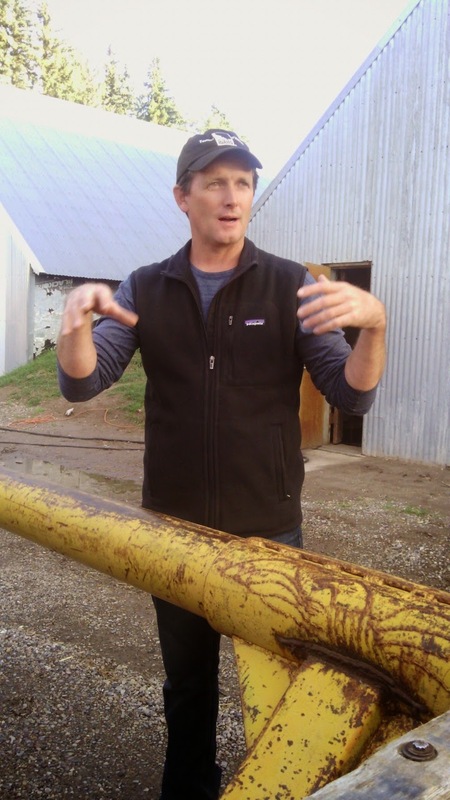 The Hoff family has been farming on the same land since the early 1900s, when Idaho was just a baby U.S. state. He, his wife and his parents treated us to a potato feast fit for potato kings and queens. And James is featured in the new Idaho Potato commercial. He's the pilot and that's his plane used in the ad! We asked him if he really performed those stunts and he said YES! My favorite part of dinner: the beverages. We had 3 different beers and a couple of ciders from Idaho Brewing Company. If you know anything about me, you know I'm a beer drinker. Huge beer drinker. I've even got this super cool app on my phone where I log all the beer I drink, where I was when I had it and I encourage others to do the same. 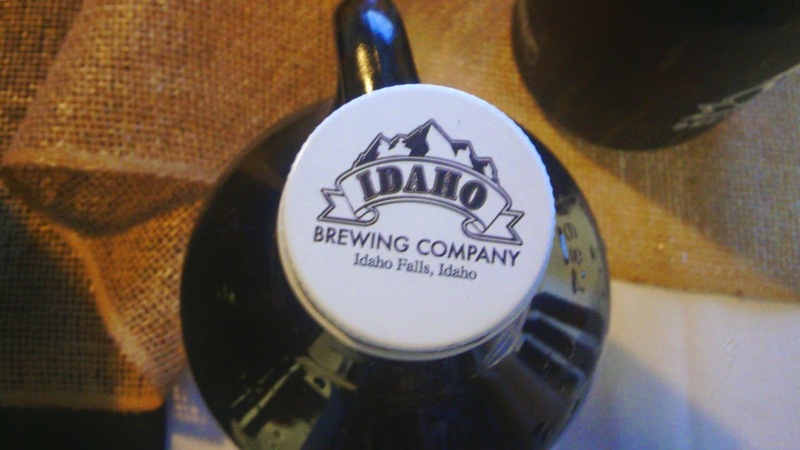 If you ever get a chance to try Idaho Brewing's Scotch Ale, you'll be pleasantly surprised. 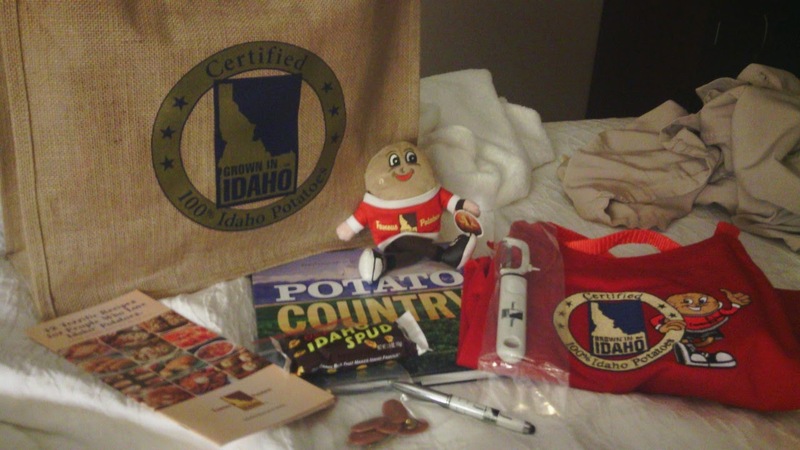 When we returned to our rooms, the Idaho Potato Fairy visited and dropped off this goodie bag full of potato goodness! The next day was full of potato goodness too. We started the day at Lamb Weston processing plant but we were not allowed to take photos inside. They make a host of potato foodstuffs including McDonald's french fries, Alexia products and some dehydrated potato products, too. We were able to sample fresh McDonald's fries and I could have eaten the entire tray they brought to us. I don't know how I didn't. 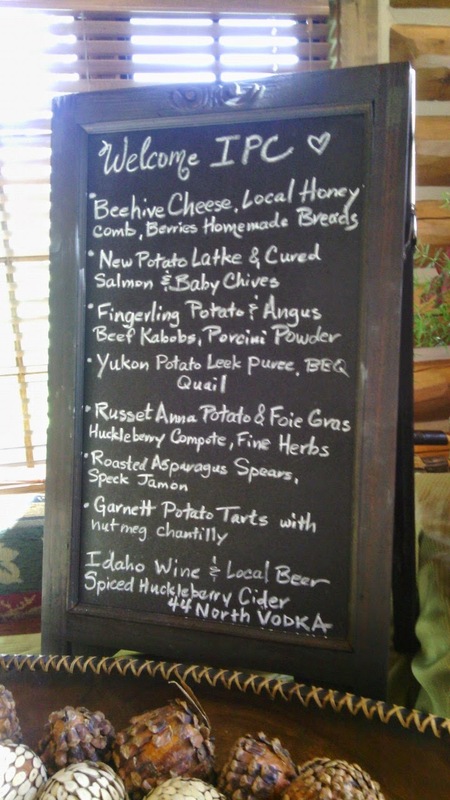 The next day, we took a tour of Wada Farms in Pingree, ID. We WERE allowed to take photos here and I let my camera do the talking. 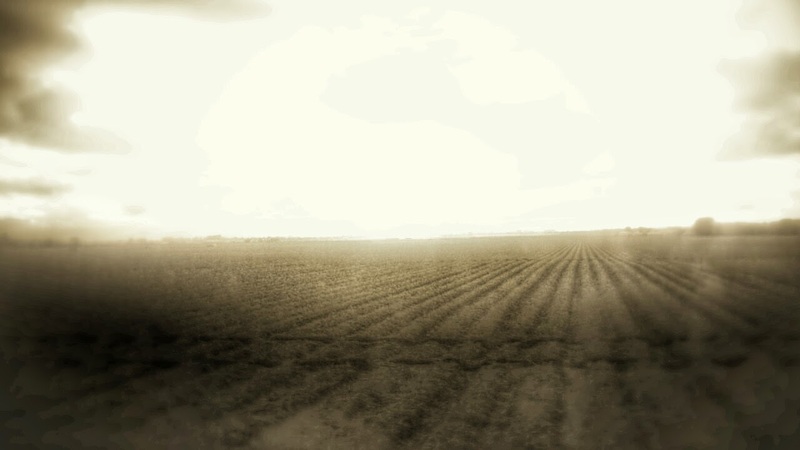 Idaho is perfect for growing potatoes because the climate actually mimics the South American Andes, where potatoes originated. Idaho is covered with vacant lava flows and the soil is rich with minerals and it drains well. Potatoes are very dirty. 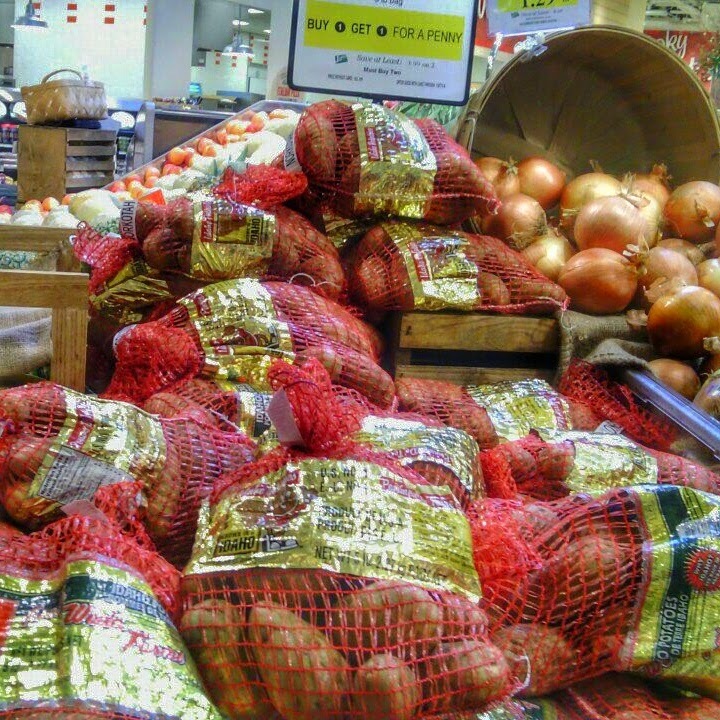 As dirty as they are when they get to us in the grocery store, you don't have to imagine the dirt on them when they're fresh from the ground. Just look! 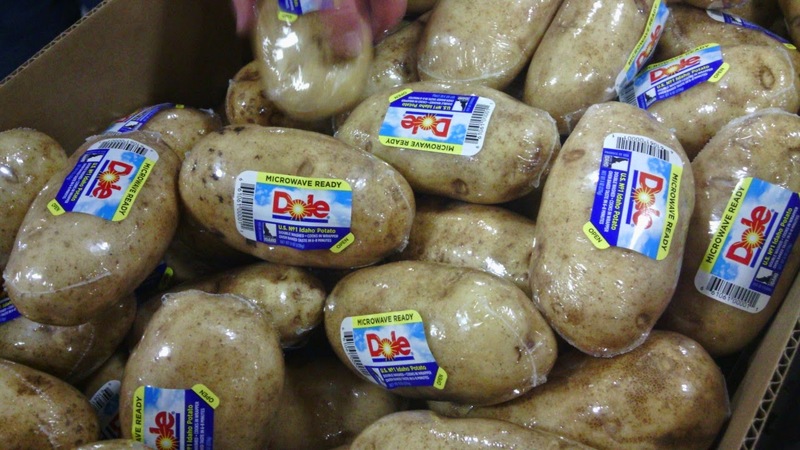 The next time you buy Idaho potatoes at the grocery, look for the tag on the bag. 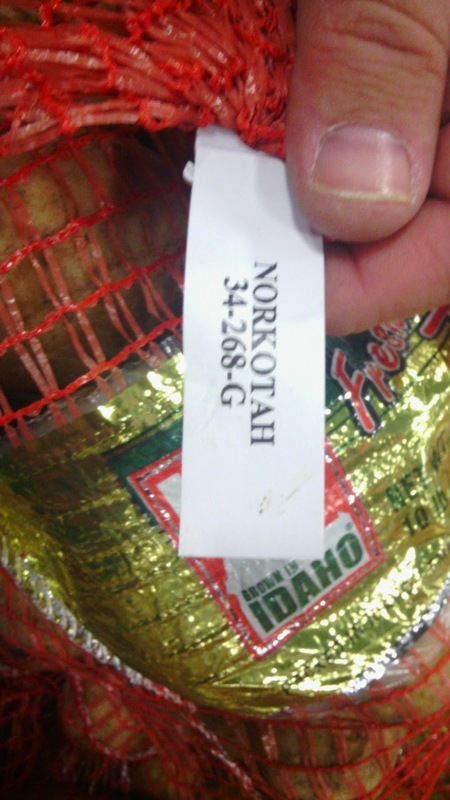 NORKOTAH is the variety of potato on this particular bag, 34 is...well, I don't remember BUT--268 is the day of the year the bag was packed and G is the initial of the manager on duty during the packing. Isn't that cool? Idaho Potatoes I found at my local grocery store! Microwave a potato? Yes, you can! 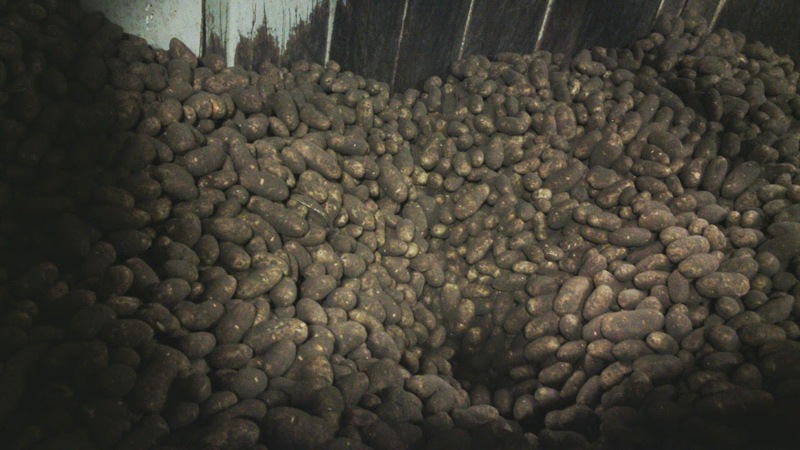 Wada Farms is the exclusive grower and producer of Dole potatoes! Does your favorite local restaurant use Sysco? Probably. 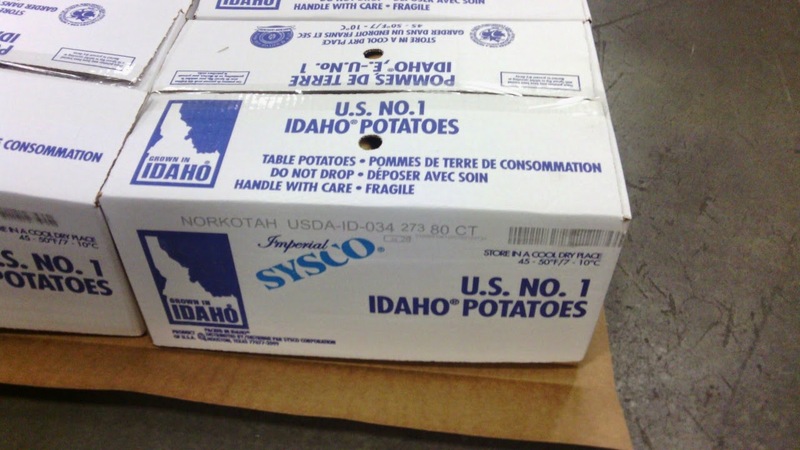 And the potatoes are packed right in Idaho. I have a confession: The entire trip I was thinking of North Carolina and comparing the Gem State to the Old North State. AND LOOK WHAT I FOUND! 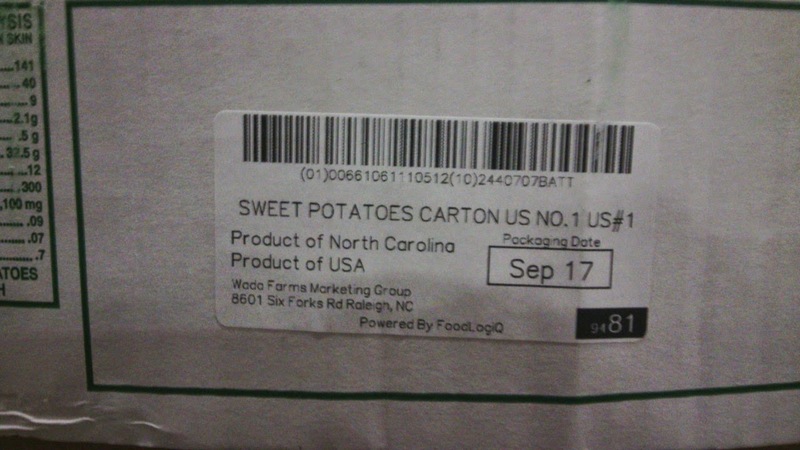 Idaho-owned and North Carolina-grown SWEET POTATOES! I KNEW I was going to find a North Carolina connection on this trip! 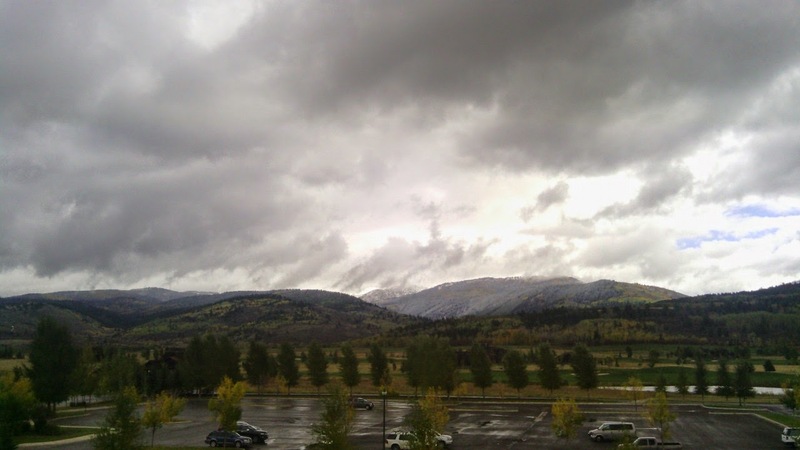 This was my view from my hotel room in Idaho Falls. 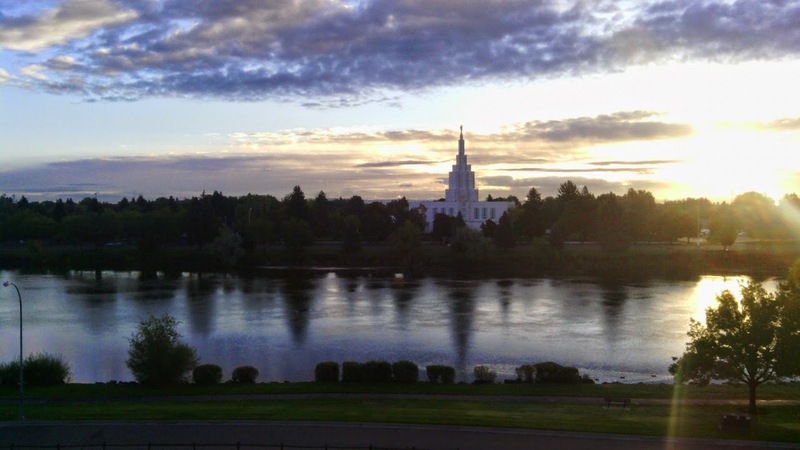 The Snake River flanked the hotel and so did the LDS temple, which was lit up at night like the White House. 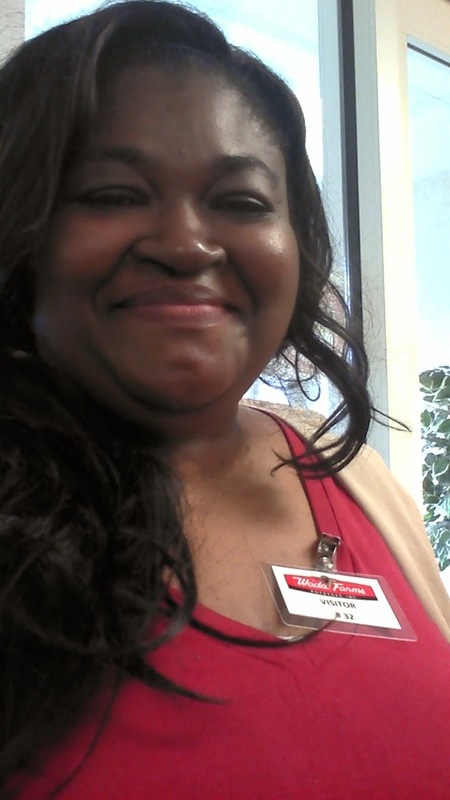 We stopped at Idahoan in Lewisville, ID. We weren't allowed to take photos here either, but this was probably the most fascinating part of the tour to me. We have a Lewisville in N.C. too. It's a suburb of Winston-Salem and I guarantee, they don't grow potatoes there. Grapes? Yes. Plenty of that. 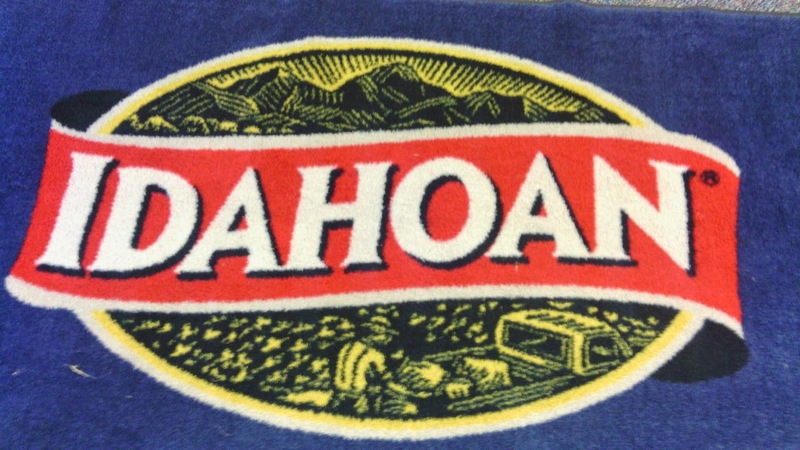 Idahoan potatoes are really my favorite because I lived off dehydrated potato flakes in college. Just add hot water and you have a meal! 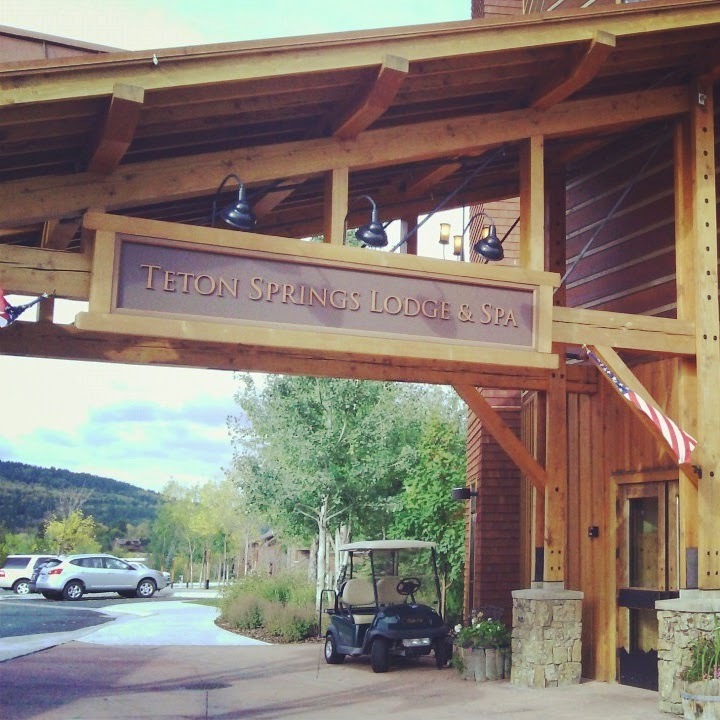 The third day was a travel day, as we traveled north to Victor, ID to stay at the Teton Springs Lodge and Spa which is a mere 20 miles from Jackson, Wyoming and gave us grand views of the Grand Tetons. 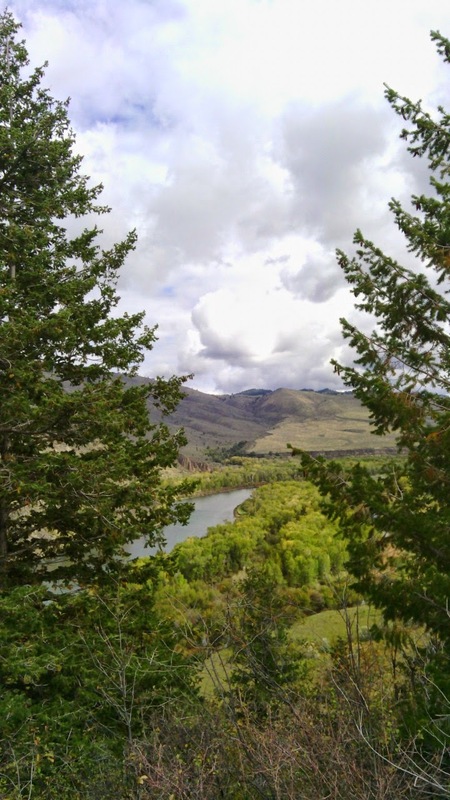 Before we arrived, we stopped at a rest stop to stretch our legs and take photos of the beautiful Idaho landscape. See? Idaho isn't that flat! 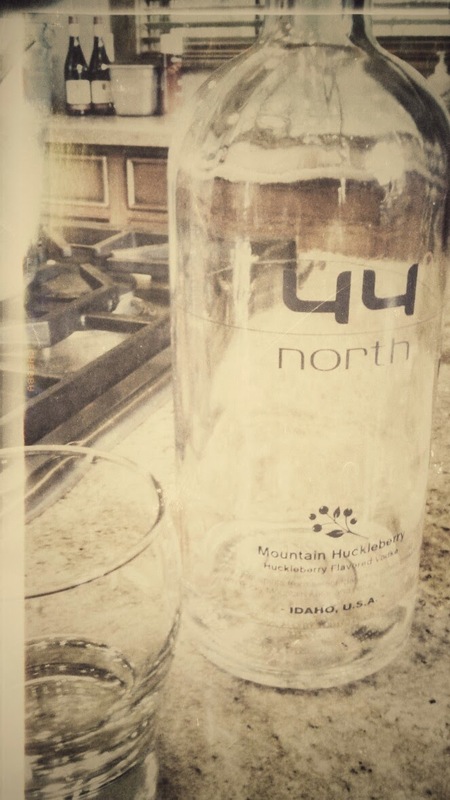 I feel like I can never have grain vodka ever again, because the 44 North vodka was so smooth, a little sweet and I could have sipped on it all night long and been perfectly content. See how content I am! 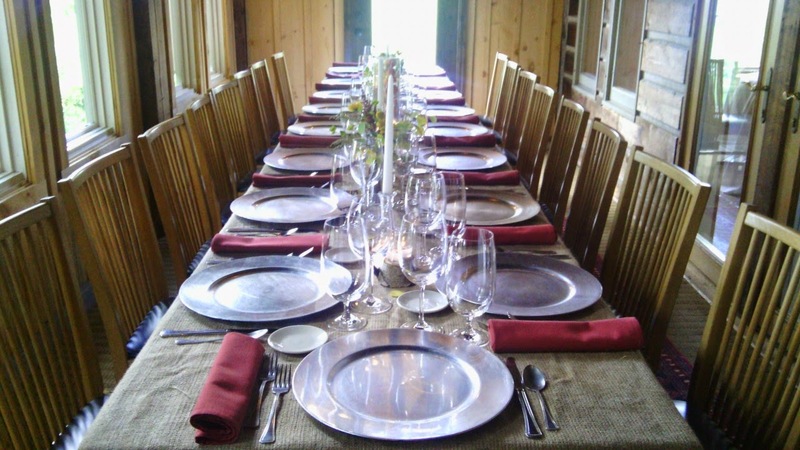 Our last night in Idaho commenced with a fantastic dinner at Linn Canyon Ranch. Another pre-dinner reception and cocktail hour. Oh, Idaho! Thank you for treating us to a fantastic time with memories I'll soon not forget. Now I'm off to convince my family that we need to make our 2015 family trip be in Idaho. Do you think they'll go for it? Nothing beats potatoes. They've got to be the most versatile and flavorful of ingredients. 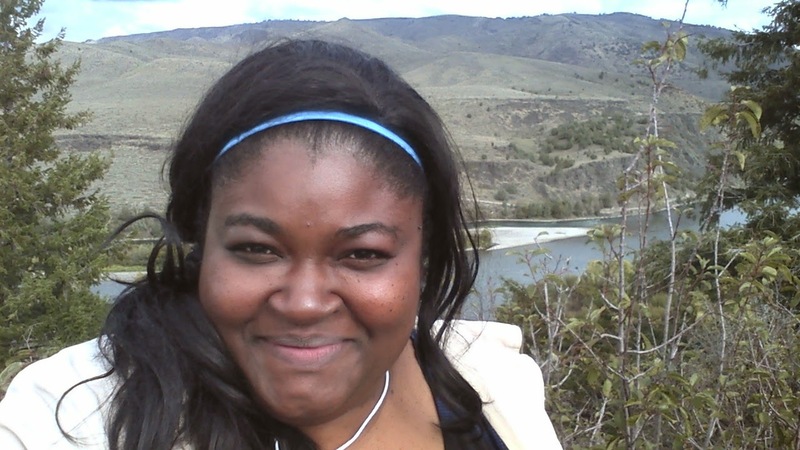 I've never been to Idaho before but it looks like a wonderful spot to live and visit! Wow Idaho looks beautiful! What a fantastic trip! This was such a fun trip! I enjoyed it went I went. Good folks. Awesome pics, looks like it was a fabulous trip! Oh how fun!! jealous for sure! It looks as though you had a great trip! And I'm a huge beer lover too, and love trying out new microbreweries. What a wonderful trip! I could probably eat my weight in potatoes - any way you cook them, I like them! This looks like such a a great trip. Love all the beer drinking and the potato viewing/learning. Potatoes are probably my favorite thing ever. The trip looked wonderful. 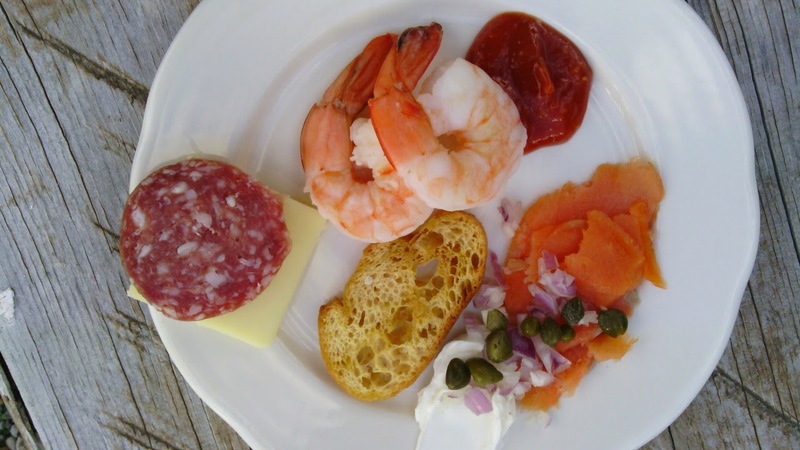 You Remember the movie Forrest Gump where bubba talks about all the things you can do with shrimp? Thats how I feel about potatoes. You can boil them, broil them, roast them... Anyway, what a fun trip! 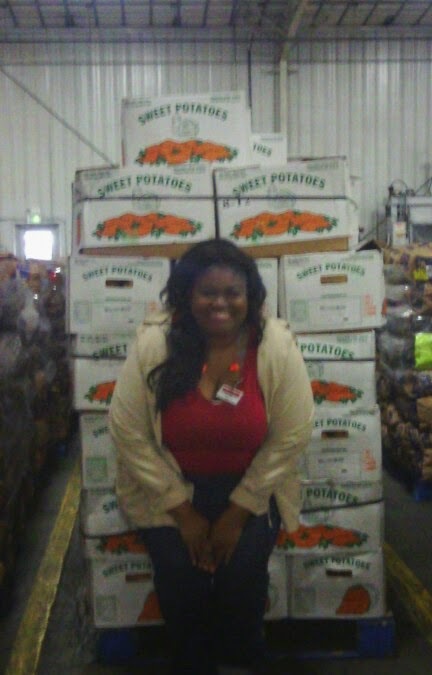 And yay for finding sweet potatoes!! Sounds like a wonderful and informative trip! Thanks for sharing! First of all, you look amazing! And this trip? So jealous. It looks like it was a blast! I so love the fact that you got to meet the guy that's in the new Idaho Potato commercial! too cool! I'll be on the look out for the tag next time I pick up a bag of potatoes for dinner! Looks like the trip was a blast!! I swear that I could eat potatoes with every meal of the day. What a cool trip!